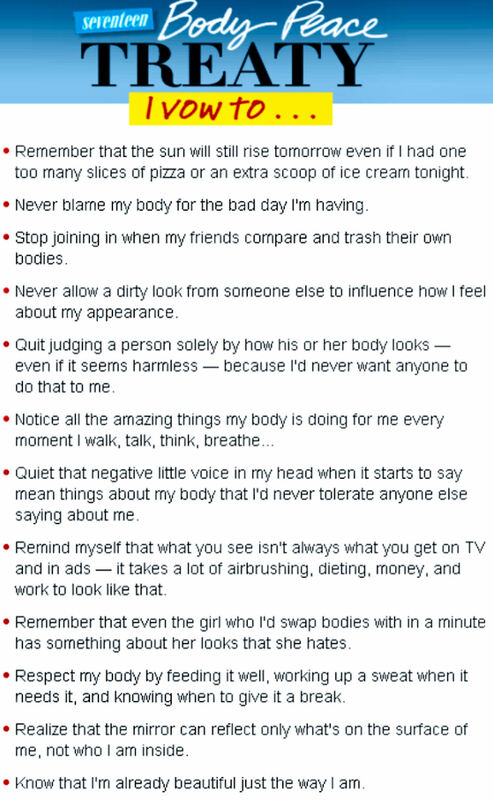 Seventeen has launched the Body Peace Project, and part of it is the Body Peace Treaty — that you must love the body you’re in. Be a part of this project. Go to seventeen.com and add your signature! Click here for more of the Body Peace Project. I didn’t realize how weird the last weekend was until I thought of the films I preferred watching from Friday to Sunday. I really don’t know what I was thinking, but these are the movies that occupied my weekend, watched in THAT order. D espite several curious situations in this film, I still liked it! 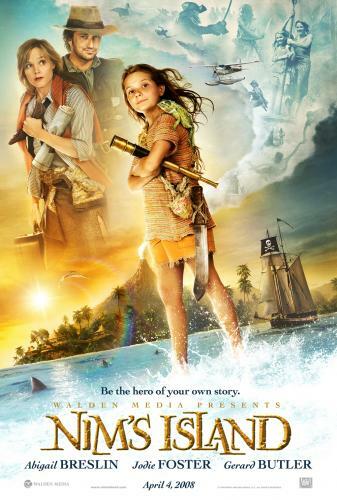 It’s about an 11-year-old girl named Nim (Abegail Breslin) who lives in an isolated island with her microbiologist dad Jack (Gerard Butler). As far as she could remember, after her mother died, the island has been her home. Everyday is an adventure for Nim. For friends, she has a sea lion named Selkie, an iguana named Fred and a pelican called Galileo. She has a very healthy imagination and her favorite books are those adventure stories written by her favorite author, Alex Rover (who is Alexandra Rover in real life—played by Jodie Foster). When her father goes missing from one of his research, Nim is left all alone in their island. For some twist of fate, she is able to exchange e-mails with her favorite author. Alexandra, on the other hand, realizing that Nim is just a little girl who needs her help. Alexandra, came to the rescue, yes, but with much effort and misadventures. Note: One has to watch Nim’s Island with a child’s eyes. The day may have started wrongly, but beauty is all around, waiting to be appreciated. Searching for Celtic music, I stumbled upon a musician named Dennis Doyle. Upon listening to a sample tune, I fell in love with his music. Unfortunately, I only found bits of information about him. Dennis Doyle is a Celtic harpist, a singer, a storyteller, professor and an author. I hope you will enjoy his music as much as I did and let me know what you think. I have also included a few more of his music in my sonific widget. I particularly love “The Last Rose of Summer.” It’s the last song in the playlist. Click here and here for additional information about Dennis Doyle. I’m basically new to blogging. 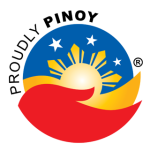 I started on friendster last year, but I seldom updated my posts. So I deleted that account and transferred my posts there to wordpress. It was only this year that I really got hooked to blogging. Hence, crumbs was born in April. Somehow, it keeps my mind working and fills the dull moments of the day. It’s something fun to do and meet wonderful people. I attended the iblog summit last April (thanks to tim) and that inspired me to start a blog; hearing how fun it can be from other bloggers. I also learned about WordPress there. One, meeting wonderful people. Two, being able to express myself freely. Three, learning something new everyday from the posts of other bloggers and in a way learning about their personalities as well. Ikaw ay kasalukuyang tumitingin sa archive para sa Random Thoughts na kategorya.